Home and business owners simply cannot be available 24/7 to keep an eye on their homes and buildings. An outdoor security camera can lend added protection and piece of mind when the home or business owner is not on the premises. However, with the number of choices out there it can be hard for consumers to choose the security camera that is right for them. 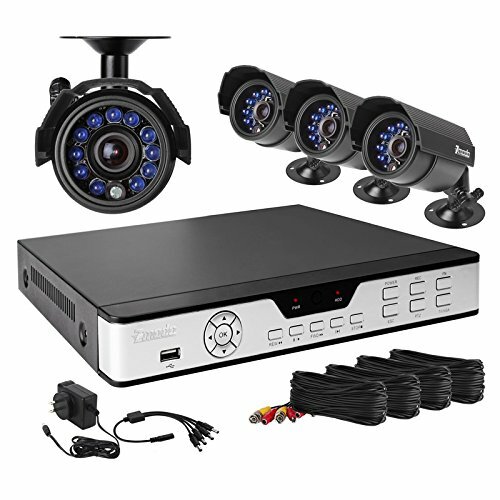 The Defender 21112 Sentinel 8CH Smart Security DVR with 4 Hi-Res Outdoor Security Camera and similar products can provide the perfect solution when home and business owners need an additional eye. When looking for a camera to protect the home or business several factors must be taken into consideration. Every building is unique and requirements will vary depending on individual need. Just a few of the considerations to think about before committing to a security camera are listed below. Which part of the building is to be monitored and how exposed is it? If exposed to the extreme outdoor elements, a camera will need to be weatherproof for the outdoors. Some areas of the building may be more protected, such as under a roof or other housing in which case the cameras won’t be quite as exposed to the elements. How many cameras are needed will depend on the area to be covered. If only the main entrance needs to be protected, then one camera will do. However, if the property is vast with a number of entrances, additional cameras may be necessary. At the least, cameras should have 350 TV lines of resolution. Conversely, the higher the resolution, the better the picture will be. Some cameras are super high-definition and can have resolution up to 800 TV lines for a very crisp image. In the same respect, a color camera is going to give a better image than black and white. Night vision capabilities are another consideration. Storage of the footage is important if the monitors aren’t manned 24/7. It is important to have enough storage or the ability to add storage to meet individual needs. Whether to purchase a wired unit or wireless is another important consideration. While wired cameras would be more economical to purchase, wireless units are easier to set up in multiple areas. Durable and vandal-resistant design. Secure adjustments are made with Allan keys meaning vandals, animals or the elements aren’t able to readjust your angles. Hassle free installation and functionality makes installing the unit easy for the do it yourself home or business owner. Includes 1TB hard drive with the ability to record and store over 4 years of footage. Alerts will notify the home or business owner when the storage is full. Footage can then be transferred to a back up such as a USB drive if desired. Ability to monitor remotely with internet connection. Up to 7 user profiles may be created so you’ll always be in control. 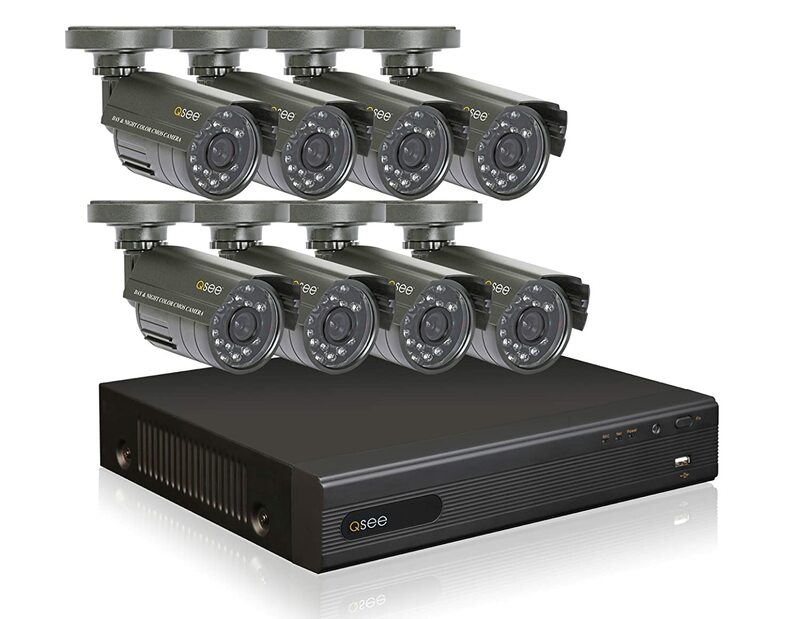 Multiple viewing options for up to 8 cameras are available as well. 600TVL resolution provides accurate color and detail. When lighting conditions become unfavorable an automatic advanced filter will activate providing excellent color and accurate footage. 38IR LEDs provide 110 feet of automatic night vision. Infrared illumination is automatically activated allowing the ability to clearly identify images in complete darkness. Every camera includes 65 feet of FT4 cable. FT4 cable is fire rated to comply with building codes for in wall installation. Patented, sleek, modern and weather tight. The cameras are designed to withstand the elements with a rugged design to protect from dust and adverse conditions. A sunshade protects the camera from the suns glare which might otherwise impact images. 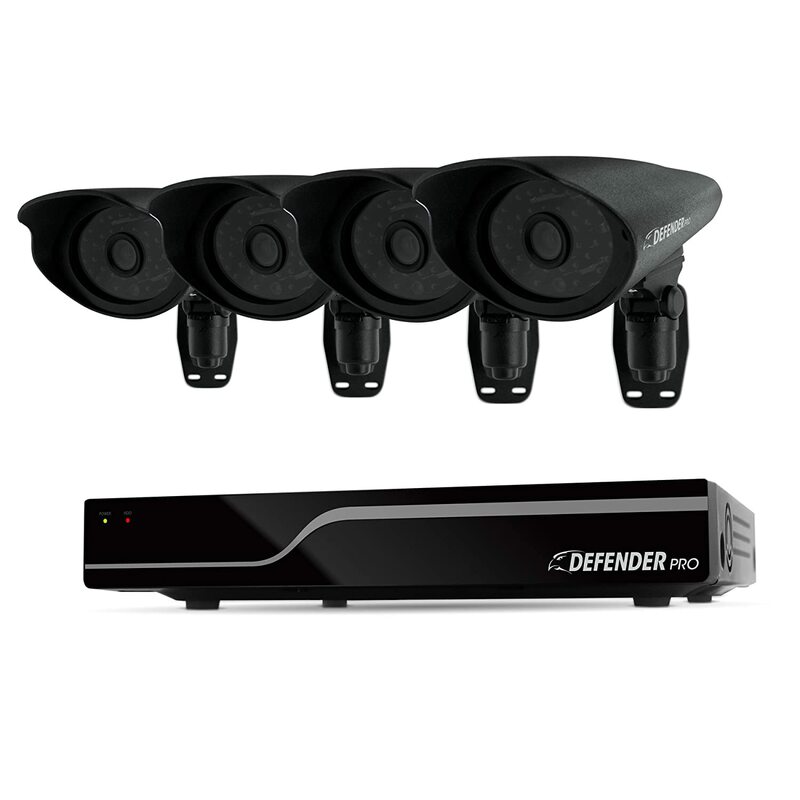 The Defender 21112 Sentinel 8CH Smart Security DVR with 4 Hi-Res Outdoor Security Camera has a 3.5 out of 5 star average customer rating. The camera is reasonably priced in a range of around $289.00 on sale to $369.99 regularly. The SVAT PRO security camera is currently unrated and has a price range of $369.99 on sale with a regular price of 769.99. The security camera features an advanced IR filter for color enhancement. The 1TB hard drive capabilities deliver four years of memory. Rated 3.5 out 5 stars the Zmodo system sells for $194.99 on sale to $249.00 regular price. This system features motion detecting recording and a 500GB hard drive. The Zmodo system also features remote access via the internet or cell phone. The Q-See surveillance system has a customer rating of 4 out of 5 stars. Sale price is typically around 299.99, $100.00 less than the regular price. The system includes 8 indoor/outdoor cameras. Email alerts upon motion detection warn against a possible breach of security to the building or area. 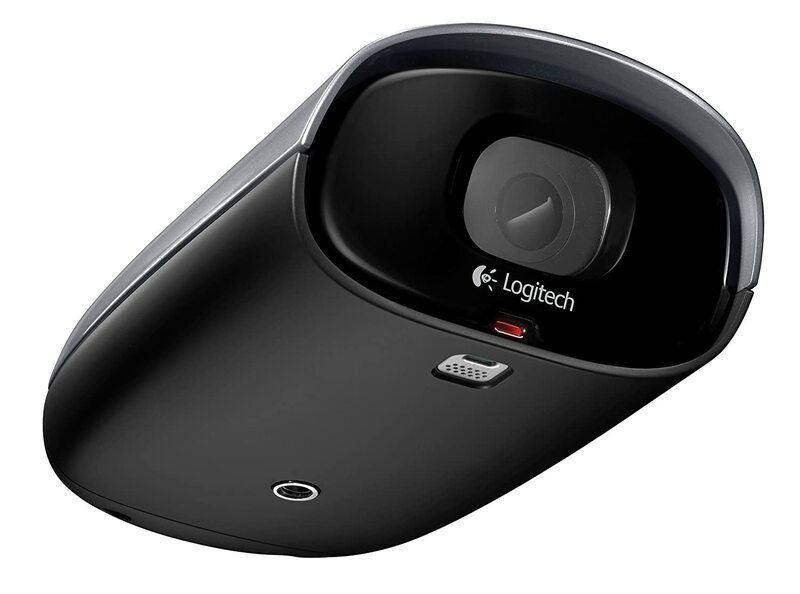 The Logitech Alert system comes with a 3.5 out of 5 star customer review rating. The price of the unit is $319.99. The unit comes complete with night vision and a 130 degree wide angle lens. It also include motion triggered recording and alerts. An outdoor surveillance system can provide piece of mind when the home or business owner is not available to keep watch over the property. 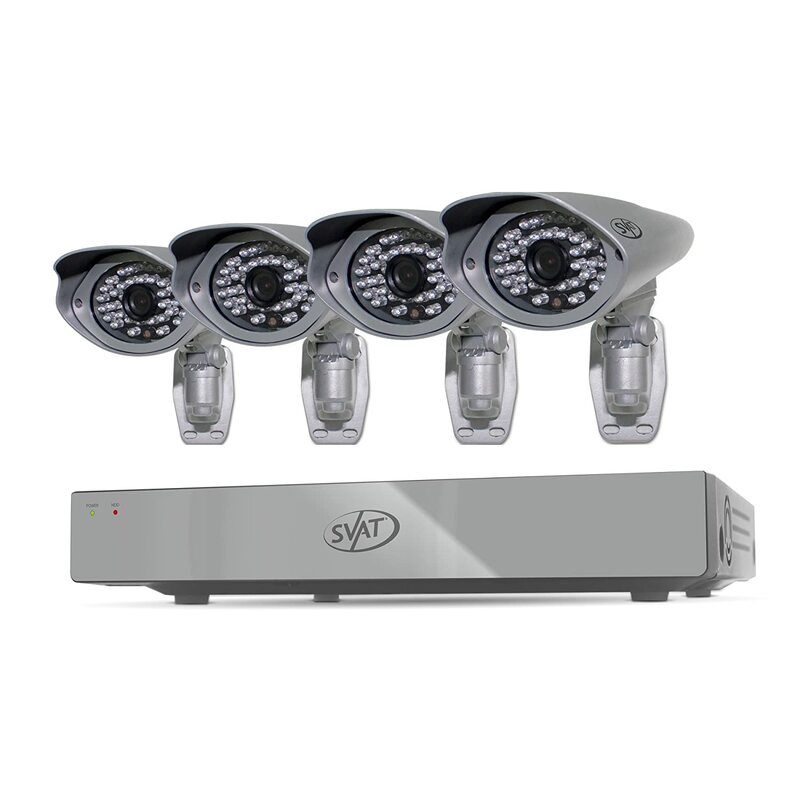 With its 8 camera capability the Defender 21112 Sentinel 8CH Smart Security DVR with 4 Hi-Res Outdoor Security Camera is one of the best on the market at a reasonable price. The Defender system will allow home and business owners to feel confident that their property is secure in their absence.